A character’s arc—like all types of arcs—involves change, but what exactly is changing? Sure, a character could go from unsafe to safe, or not in a relationship to in a relationship, but that’s not about them changing—only their situation. We’ve talked before about how characters can suffer from a false belief—something that’s untrue, but that they believe about themselves or the world anyway. That belief causes them to act and behave in a way that’s holding them back from being fulfilled…until they change. Today, I’m excited to bring back Jeff Lyons as he digs deeper into those elements by showing how we can fully develop their potential in our story. With his insights, we can ensure that we’re not saddling our protagonist with generic character flaws to overcome, but rather that we’re creating well-rounded characters with personal motivations for their struggles. Fantastic stuff! The idea that any good story has a moral heart is not a new idea. Writers, story gurus, developmental editors, everyone who’s had any experience with storytelling talks about the importance of having a moral element that drives the protagonist (and antagonist) in any good story. There are many terms people use: moral argument, moral problem, moral flaw, fatal flaw, inner-fault, the list goes on. Regardless what the proprietary language used, everyone who advocates for this basic principle is talking about the same thing: a story rooted in a moral premise. 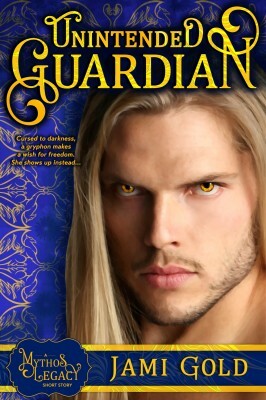 But writing a moral premise, and delivering a real protagonist with a deep and personal moral flaw, while not rocket science, is an elusive and confusing skill most writers lack, mainly because they don’t know what “moral” really means, and because they settle for generic solutions, rather than going for the deep emotional treasure at the heart of every moral character. What Does Moral Mean in Storytelling? The first thing we have to do is come to a common ground on what it means to even have a moral premise. In a storytelling context, what does moral really mean? Moral is not about being addicted to drugs and alcohol, or being crazy, or finding yourself in the wrong place at the wrong time, or being confused about life, etc. Moral is about right and wrong and how you impact other people with your behavior. Yes, addiction and emotional illness affects other people in our lives, but the focus is still internal, not external. Moral storytelling is focused on teaching lessons about how humans act as humans toward other humans, not just how we hurt or harm ourselves. How Is the Moral Premise Important for Storytelling? Creating a moral story premise is critical for telling a real story, because all stories are about us, and what it means to be human. I have been harping on this for many years, and I have my own approach to the problem, which I think breaks down the moral premise into its basic components, making it easier for writers to find the most powerful moral component for their stories. This approach also addresses the biggest problem writers make in this area, i.e., settling for generic rather than a personal morality. In this approach, a story’s moral component is made up of three building blocks. This is the core misbelief that the protagonist has about him-herself that is fundamentally wrong, but that colors all their actions in the external world. They are blind to it—they don’t know they have this belief, but others can see it, if they look hard enough. This is the core of all character motivation. This is the external world action that the blind spot takes on the page, or on the screen, in any story. The blind spot leads to behavior, and all behavior is motivated by the protagonist’s moral blind spot. The protagonist is hurting other people in their world, due to their blind spot, and the way, manner, form of that hurting is their behavior motivated by their blind spot. This is the driver of all dramatic action in the middle of any good story. The protagonist is constantly put into situations where they have to choose between acting morally (healing the blind spot) or acting immorally (falling back on their blind spot). They always make the bad choice. Back and forth, back and forth they are given the chance to change, but they don’t—until they do—and then the story is over. This pressure, between being offered the choice to change and always making the bad choice, creates dramatic tension and is what ratchets up the dramatic and personal stakes during the middle of any story. How Can Understanding the Moral Component of Our Story Help Us Write? 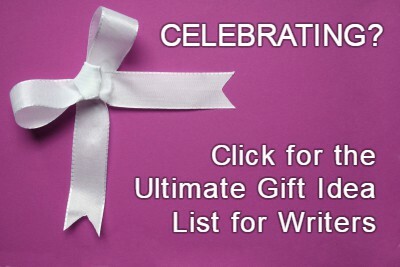 It is critical for writers to understand these three building blocks for two fundamental reasons. Firstly, the moral component makes the difference between having a passive or active protagonist (what I call the passive-active loop). When the moral component is present, then the protagonist is proactive—all action sources from them as they act out their moral blind spot as behavior, which complicates their lives, forcing them to act again, etc. They are creating the problems in their lives based on their blind spot/behavior, so they are active. If, however, there is a weak or missing moral component, then the protagonist is pushed around by events and then can only react, making them passive leaves on the dramatic winds of the story. Their actions are not motivated from within themselves, they are only acting to external stimuli, like Pavlov’s dogs (the classic story vs. situation conundrum—see my guest blog here titled “How to Make Every Story Idea the Best It Can Be”). The second reason for understanding the moral component (and the purpose of this article) is that it helps the storyteller find a personal moral flaw for the protagonist, and not simply a generic flaw—thus deepening the connection with the reader/audience, and creating a more dramatic/comedic ending for any story. This is a huge problem that many writers grapple with, because they don’t fully appreciate the importance of breaking down the “moral issue” into its basic components. Frank, an ambulance-chasing, alcoholic, loser attorney uses people for personal gain, and only sees people for what advantage they can get him. He uses people for financial leverage, and that is the only value he sees in people. Other human beings are targets, not people. Their worth is defined only by what Frank can get out of them for himself. Frank is selfish and self-centered so he has to learn how to give selflessly. These are all generic in nature, not personal. They are generic because none of them describe the why; they only describe the what of Frank’s behavior. There is no clear light shown on his motivation for why he is controlling, or unjust, or selfish; just that he is one or more of those things. This is what most writers do with their protagonists. They afflict them with a generic issue that appears to be personal, but really isn’t. In the above scenario we have no clue why Frank is acting the way he is acting; all we know is that he’s doing it and that it’s bad and he needs to stop and be nicer. This generic approach is not bad or wrong, but it robs the writer, and the reader/audience, of the fullest expression of the story. It is the “cheap seats” solution to deepening character at the expense of real depth. Use the same setup and description as the generic moral flaw. These are the kinds of questions (there are others) that must follow, once you the writer decides on the general conduct that will define your protagonist in their story world. This is the only way to find out his real motivation for acting the way he does. In this personal scenario, Frank is acting badly in the world by using other people; they are targets, not people. Why does he do this? Because, people have no value or worth beyond what he can squeeze out of them. What would someone have to believe about themselves to justify such a belief about other humans? They would have to believe that they have no value or worth as well, because they are human too, and all humans are worthless. And so, this is Frank’s personal moral flaw, or blind spot. He doesn’t know he feels that way about himself, but that’s what’s motivating his behavior toward others. and he and she are both worth fighting for. Do you see how this is more personal and not high-level or generic? Do you see how this has more heart and emotion, and how asking deeper character questions about real motivation gets you to the foundation of why a character really acts the way they do? Do you see how this makes for a better protagonist and story? Frank’s moral blind spot is that he has no value and thus doesn’t matter. This leads him to devaluing everyone and preying on them out of resentment and bitterness (immoral effect). He is given opportunity after opportunity to act morally, but he stays stuck in his own blind spot—until he sees the moral light and his reason for action changes, and he learns his lesson (dynamic moral tension). Sadly, in the movie this happens before page 30 of the script, so the drama is robbed of a great middle, but even so, it is a textbook story with a model moral setup that powerfully transcends the generic-flaw problem. Contrast all of this to the generic approach earlier. The generic approach is shallow, limiting, and so broad as to be dramatically bland. There are many strategies “out there” for writing a morally challenged protagonist, but I believe the vast majority of those strategies miss this critical piece we are discussing here, i.e., how to make the moral flaw personal and the foundation of motivation. Almost everyone skims along the moral surface and avoids going deeper into the real character development that must be done. So, many writers start off in the right direction, but cut themselves off at the knees by not following through with the tough character questions that deepen their protagonist. Make sure the moral issue of your protagonist is really a moral issue and not superficial. This means understanding the meaning of “moral” in a storytelling context. Break down that motivation/belief into the three building blocks of the moral component: moral blind spot, immoral effect, and dynamic moral tension. Make sure that whatever lesson is learned in the end, or whatever change your protagonist goes through, that it resolves the original blind spot, or that it makes it worse (assuming the character doesn’t change for the better, ala Michael Corleone in The Godfather). If you implement these basic steps with each new story and protagonist, your chances of having a deeper, more satisfying drama or comedy will be greatly increased, and readers or movie audiences will be more deeply engaged and committed to the protagonist’s journey from start to finish. And, you will have avoided the biggest mistake most writers make when constructing a moral premise. 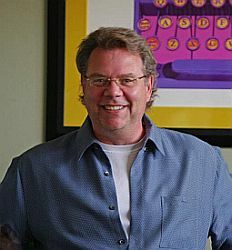 Jeff Lyons is a published author and screenwriter with more than 25 years’ experience in the film, television and publishing industries as a writer, story development consultant, and editor. 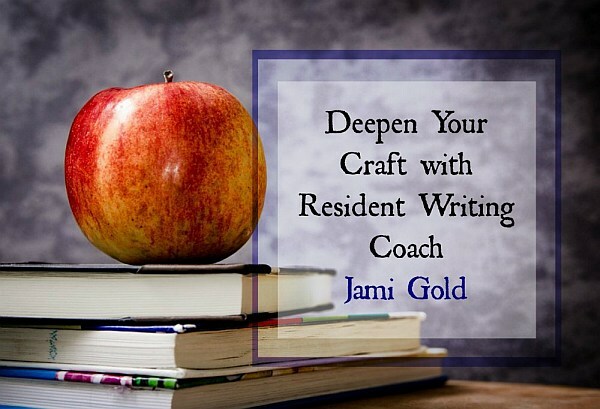 He teaches craft-of-story-development classes through Stanford University’s Online Writer’s Studio, and guest lectures through UCLA Extension Writers Program, and is a regular presenter as leading entertainment and publishing industry conferences in the U.S. and the U.K. He has written for leading industry trade magazines such as Script Magazine, Writer’s Digest Magazine, and The Writer Magazine, and Writing Magazine (UK). 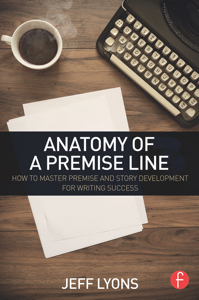 His book, Anatomy of a Premise Line: How to Master Premise and Story Development for Writing Success, is published through Focal Press. ONLINE EVENT: Have a new idea for a book or screenplay? “Anatomy of a Premise Line: 3-Week Crash Course” will help you figure out if your story will have legs AND set you on the path of successful story development. Workshop starts Mon. Apr. 24th! Tiered pricing and promotional discounts from 87$–297$. One-on-one premise work with instructor, “observer” seats available at deep discounts, 24/7 classroom access, instructor email and phone/video support, and much more. Thank you, Jeff! I love the comparison you made to show the difference between a generic flaw and a personal, motivation-driving moral flaw. So insightful! In many ways, this moral premise of our story is the point of the story. 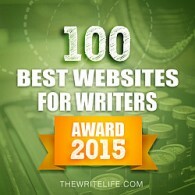 It’s the “so what?” factor that makes our story worth writing—and reading. Have you ever noticed when a character arc felt shallow? Do you think this generic vs. personal issue might have contributed to that feeling? 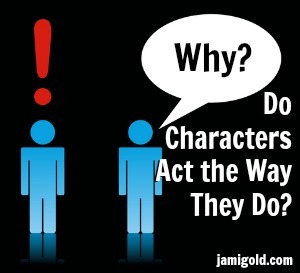 Do you include character arcs in your stories? Will these insights help you create deeper and more meaningful character arcs? Do you have any questions for Jeff? Wonderful blog. This made me stop and think about my current WIP. and how to deepen the conflict. Thanks for this. This is a problem I’ve been wrestling with in a novel I’ve been working on for nearly five years — I’ve written several drafts, but I’ve been having trouble getting to the moral heart of the matter. I think this article will help me finally put my finger on what makes my protagonist tick. This is so painful to hear 🙂 But I know this is exactly what happens to so many writers. When you can figure this out your stories will have an engine that won’t quit. But it’s a story skill, not a writing skill, and sadly most writers are not good with story (storytelling and writing are two different things and have NOTHING to do with one another 🙂 ). This is my mission: to help people shore-up their storytelling skills so they don’t have to spend years lost in the story woods. So, very happy this helps. I feel your pain. Well, this surprisingly turned my thinking about “any good story has a moral heart”. I still think I am attracted more to situations rather than stories, but I can see where “moral component” is attractive. It never occurred to me that having a moral component would affect the passive-active loop I think you called it. Does your book, “Anatomy of a Premise Line: How to Master Premise and Story Development for Writing Success” go into details on the moral story premise? Yes… my book does … an entire chapter. 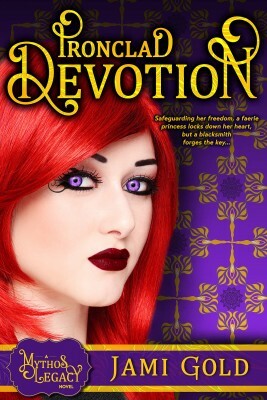 You can actually get that excerpt for free as an ebook off my site jefflyonsbooks.com. 🙂 When I teach my workshops we spend a full week just on this concept and your story idea (see above for details). I’m not sure that every protag needs to be deeply morally flawed and requiring redemption during the tale. I’d find it too hard to identify with him/her and might stop reading. More likely they would bring about redemption in another character. I like the personal vs generic distinction as well. Btw I realized recently that if two characters’ relationship with each other changes, but the characters themselves don’t change, it still feels meaningful and deep to me, because I find interpersonal relationships intrinsically meaningful. Actually, even if the relationship doesn’t change, I may still find it deep and meaningful if I think the author showed us the depths and/or complexities of their relationship. Some may argue that you can’t change your relationship with someone without changing yourself, but…From my real life experience, I have definitely had changed relationships with some people in my life without myself changing, haha. Can you give me an example of a relationship that changes and neither of the people change? You say you’ve had this experience in life… can you describe this? I’m very curious what your thought process is about this. Hmm, but if it’s impossible for a relationship to change without changing the people, then is it possible for heroes in a story to get into a romantic relationship with each other without changing as people themselves? 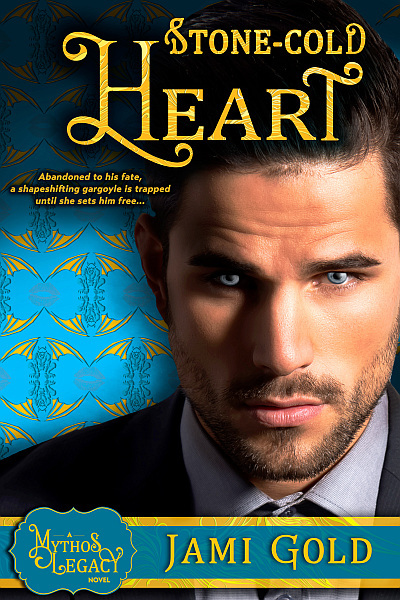 An implied question would be: Is it possible to write a romance (the from not-lovers to lovers story) without having the lover characters change? Or is the appearance of “characters getting into a relationship who don’t change at all” just an illusion? Maybe they did change, but the readers just didn’t see it or the writer just didn’t make the changes visible/ observable to the reader? But wait—I’m getting the feeling that we’re not quite talking about the same thing here, haha. To me, changing a relationship with someone from “friend to lover,” or from “acquaintance to friend”, for instance, counts as a “relationship change” too. I guess at the very least, you might get influenced by your new lover (or friend)’s worldviews and attitudes, or expand your knowledge of the world because you got exposed to someone more deeply. Or another way of describing it, would be enlarging your world when you get to gaze more deeply into someone’s soul.